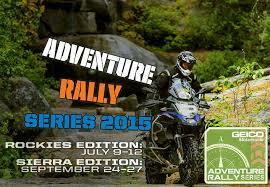 The Cycle World/Dirt Rider/Motorcyclist Adv Rally is here and we are super stoked to be supporting it yet again. The treasure hunt format rally is more of a choose your own adventure ride than a rally. Accompanied by a custom map and clue book from us, special test events to hone your skills and awesome sponsors like BMW, KLIM and GEICO. Join us July 9th-12th in Gunnison, Colorado or Sept 24 -27 in Lake Shore, California. where in Gunnison do you meet and what time, if you want to join up for the treasure hunt? I live in Salida and would like to check it out.